If you live in Amarillo or the surrounding area and need a trusted veterinarian to care for your pets – look no further. We offer a wide range of services at the clinic, Some of our services we provide are, wellness exams, dental & soft tissue surgery. Your pets’ health and well being are very important to us, and we take every possible measure to give your animals the very best care they deserve. We have been serving the Amarillo area for over 80 years. 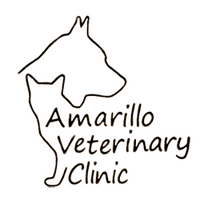 Amarillo Vet Clinic is a full-service veterinary clinic and welcomes both emergency treatment cases as well as pet patients in need of routine wellness exams, surgical, and dental care. Our doctors have years of experience treating serious conditions and offering regular pet wellness care. Beyond first-rate pet care, we make our clinic comfortable, kid-friendly, and calm, so your pet can relax in the waiting room and look forward to meeting our Amarillo veterinarians. How is Amarillo Veterinary Clinic different? Walk-ins welcome but will be seen as time allows. Last walk-in 4:30 pm. We look forward to seeing you and your family pets soon! We are happy to offer a number of resources that enable you to learn about how to take better care of your pets. Please feel free to browse our site, particularly the informational articles. The best veterinary care for animals is ongoing nutrition and problem prevention, so becoming knowledgeable about preventative pet care is essential to the ongoing success of your animal’s health. If you have any questions, call 806-373-7454 or email us and we'll promptly get back to you. Amarillo Vet Clinic is very easy to get to -- just check out the map below! We also welcome you to subscribe to our newsletter, which is created especially for Amarillo pet owners. At Amarillo Vet Clinic, we treat your pets like the valued family members they are. "The staff and doctor was very informative and professional. They gave me all my options, price and recommendations and took my dog problems very serious and was very cautious about his health and well-being of my dog and other customers first! Thanks"
"I have been coming here with my pets since I was a little girl with my parents and whole family. I wouldn't take my pets anywhere else. The staff is awesome." "The staff is AMAZING, my little dog Ginger was very sick and we came through in the truck. They took such good care of us and Ginger loved her Tech and doctor. We highly recommend them. Thank you ladies for such special care!!" "Super sweet ladies and staff, vary informative, quick to work, vary nurturing to my pup oso, there my preferred choice"